The Metropolitan Museum of Art's spring 2015 Costume Institute exhibition, "China Through the Looking Glass," opens to the public on Thursday. 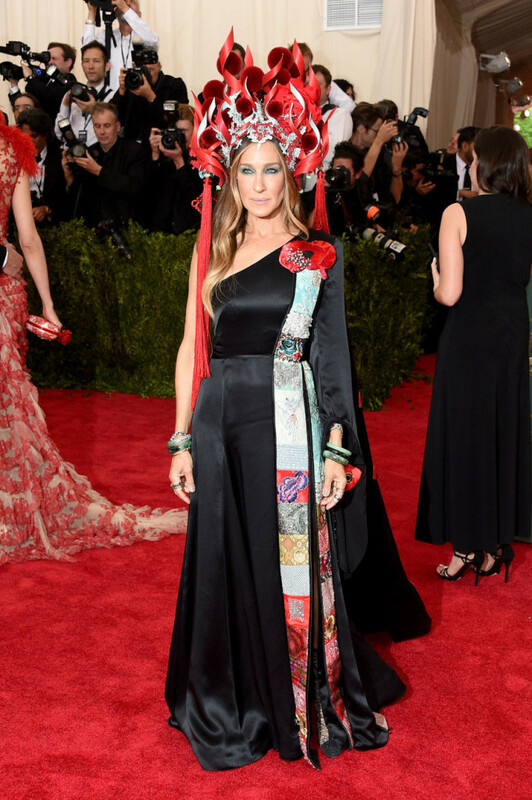 Monday night celebrities and fashion insiders walked the red carpet for the annual Met Gala. There were some fabulously outrageous looks, and if you're going to be your most eccentric-self, the Met Gala is the time to show it all off. Here are my favorite looks from the night. Maybe I'll make my entrance at the Symphony Fashion Show on Tuesday in a giant cape/coat a la Rihanna. Yes, it's a little Heatmiser, but it's SJP. I'm in to it. I'm just happy she wore an actual dress. If Little Red Riding Hood wore slinky Ralph Lauren. Typical Monday attire for Gaga. Poppy wearing poppies. How meta of her. Zac Posen is the perfect accessory. Helen Mirren looks stunning in this laser-cut red gown. Photos courtesy of Getty Images from Fashionista.com.